(a) Spouse: In most of the cases, it is most common and preferred combination. (b) Father and Son: If there is only 1 child i.e. Son then banks allow father to be owner of the property. In case there are more than 1 child then banks insist that Son should be the owner of property to avoid any legal disputes of inheritance. (c) Father / Mother and Unmarried Daughter: In this case, only daughter can be the owner of the property. For Home Loan eligibility, income of parents is not clubbed. In case of Brother and Brother, home loan co-applicant approval is subject to certain terms and conditions like address of both should be same i.e. joint family and intent to stay together in joint family in future. It is at the sole discretion of the bank. Before proceeding further, i would like to clarify that this post is only in context of home loan co-applicant’s who are not the co-owners of the property. Now you must be wondering where is the problem. Problem starts because these days banks have started practice of compulsory inclusion of home loan co-applicant even if the home loan co-applicant is not the co-owner of the property. Unfortunate part is that banks don’t educate and inform about future repercussions for home loan co-applicant. They just say that its a formality and home loan will not be approved without inclusion of home loan co-applicant. Please note that the legal liabilities of home loan co-applicant is same as that of a Primary Applicant / Borrower even if he / she is not the co-owner. In layman terms, home loan co-applicant is guarantor of Home Loan. 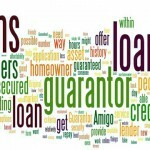 In my post Being a Loan Guarantor – Are you Risking your future i discussed this in detail. In many cases, i observed that even if sole applicant is eligible for Home Loan but banks still insist on home loan co-applicant. One of the reason for this forceful inclusion is that Home Loan provider is hedging any risk against Home Loan Repayment due to unforeseen circumstances. Now you must be wondering what is the problem in being a home loan co-applicant for my husband / wife’s Home Loan even if i am not co-owner. Home Loan is long term commitment. The problem is if you are not co-owner but only home loan co-applicant. Lets check in next section. (a) Dispute Between Husband and Wife: As per the law, any property acquired by the husband after marriage, wife has equal share in the property. But what about liability. The problem arises when dispute arises between husband and wife. If any of the spouse e.g. wife is not co-owner but only home loan co-applicant then who will pay the Home Loan EMI. Wife who is not co-owner face unnecessary harassment if husband stop paying EMI. Husbands stop paying EMI thinking that wife will have 50% right in property whereas entire EMI is being paid by him. To claim right on property may take time but bank start following up with wife on loan recovery. (b) Legal Inheritance: In case of unfortunate event if husband die without leaving WILL then property is distributed under respective succession act of each religion e.g. Hindu Succession Act. In this scenario, distributed among class I legal heirs i.e. Wife, Children and Mother of deceased. If the property is on Home Loan with wife being home loan co-applicant but not the co-owner then entire responsibility of clearing Home Loan rests with wife. Whereas she will have only 1/3rd share in property. In the absence of home loan co-applicant onus of clearing all liabilities would rest with all the legal heirs of deceased equally. (c) Beneficiary of WILL is different: Going by same example, if husband decide to inherit property to someone else say to his parents or siblings. Even if husband decide to distribute property equally between wife and parents. In this case, if wife is only home loan co-applicant but not co-owner then its a big trouble for her specially if she is housewife. (d) Other assets of home loan co-applicant will be at risk: In case of default by the primary borrower / applicant then assets of home loan co-applicant will be at risk. Recently, one of my client who defaulted on payment due to losses in businesses. His father’s property is also attached by the bank on court order as his son defaulted. Father is only co-applicant of son’s Home Loan. (f) Reduced Credit Eligibility: Being a co-applicant will reduce the credit eligibility to the extent of 50% of Home Loan value. It may impact approval of any future credit requirement of co-applicant. (g) Operational Hassle: All said and done its an operational nightmare for home loan co-applicant both at the time of availing or closing Home Loan. (a) Co-Owner: If you are co-owner of property then for Home Loan, Bank will definitely insist on co-owner as co-applicant. It is must condition therefore you should be co-applicant only if you are co-owner of property. (b) Tax benefits: To avail tax deduction on Home Loan under Income tax Act, 1961 it is necessary that home loan co-applicant should be co-owner. I receive numerous request where home loan co-applicant (not the co-owner) ask me whether they are eligible for tax deduction. Answer is NO. (c) Increase Home Loan Eligibility: If you are not the co-owner of property but would like to help your spouse or relative to increase their Home Loan eligibility. In this case, you may consider being home loan co-applicant. It is absolutely necessary that you should be aware of all the risks and legal liabilities. (a) Online Term Insurance: Now you must be wondering what if, bank still insist on home loan co-applicant. If the bank is insisting only to hedge risk against Home Loan repayment then simple solution to this problem is that Primary Borrower can buy Online Term Insurance Plan. Primary Borrower can submit copy of insurance policy to bank assuring that he is insured against Home Loan. I will not suggest Home Loan Protection Plan as i shared in one of my post reasons Why you should not buy Home Loan Protection Plan. Please don’t accept all the terms and conditions blindly. Primary Borrower should safeguard the interests of his near and dear ones. As i mentioned that life is uncertain so rather regretting in future, it is advisable to be cautious today.